I thoroughy enjoyed doing this pet portrait of a horse - what a beautiful looking animal. This horse has an almost regal air. I felt the photo said everything, so I tried to keep the whole painting very simple. 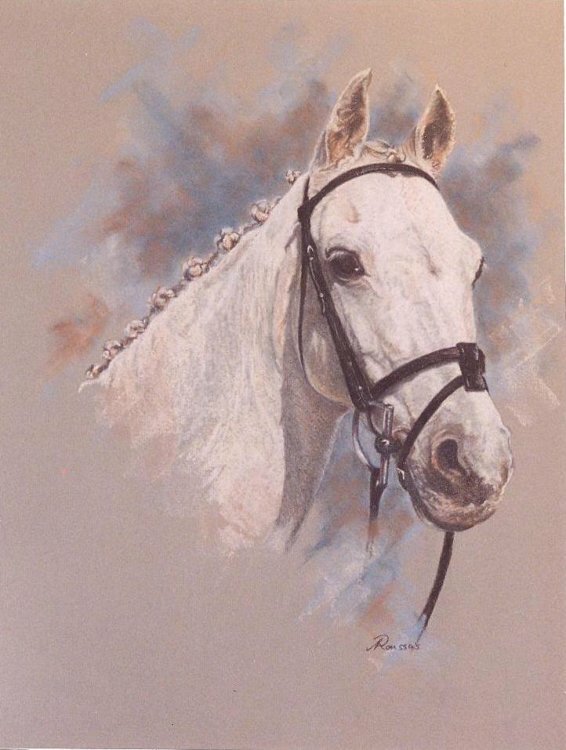 I also felt the bridle acted as a "natural" complement to his whiteness, but also, because of its colour, as a reinforcement of his obviously strong but balanced nature.